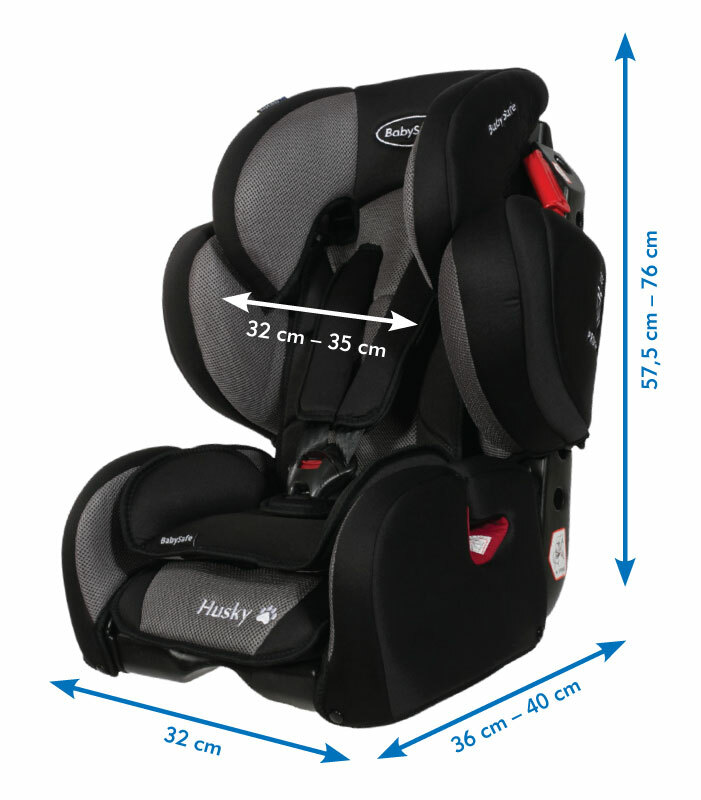 The seat is adjustable in 3 dimensions which allows you to adjust its size to the height and weight of the child. It is possible to adjust the rest position as well as the height and width of the backrest. 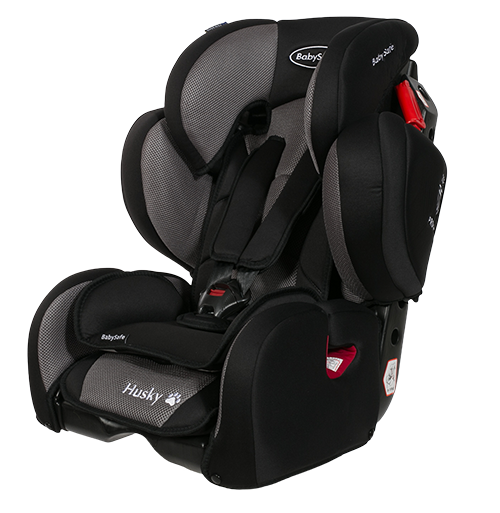 A high level of protection is provided with the highest quality materials that make up the seat and the modern design which protects the individual body parts: head – broad headrest, shoulders – side panels, hips – high armrests, belly – high seat. 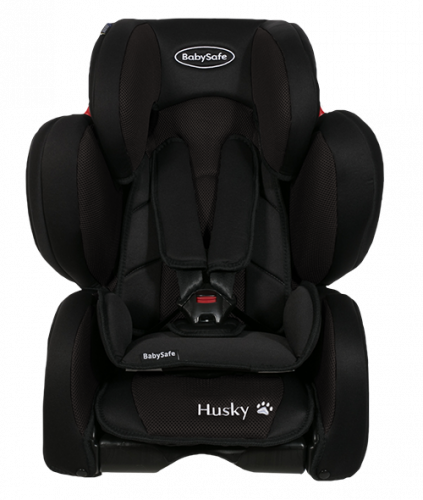 The car seat should be BabySafe Husky SIP universal category so fit each car equipped with 3-point safety belts . Regardless of the mounting location of the seat in the car must remember that it always fix a forward-facing . To provide seat maximum safety must be properly installed in the car . 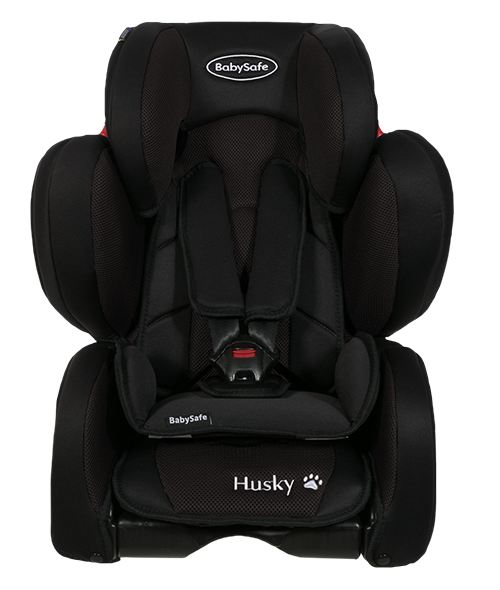 In BabySafe Husky SIP assembly help guides and brackets for mounting the seat belt of the car . 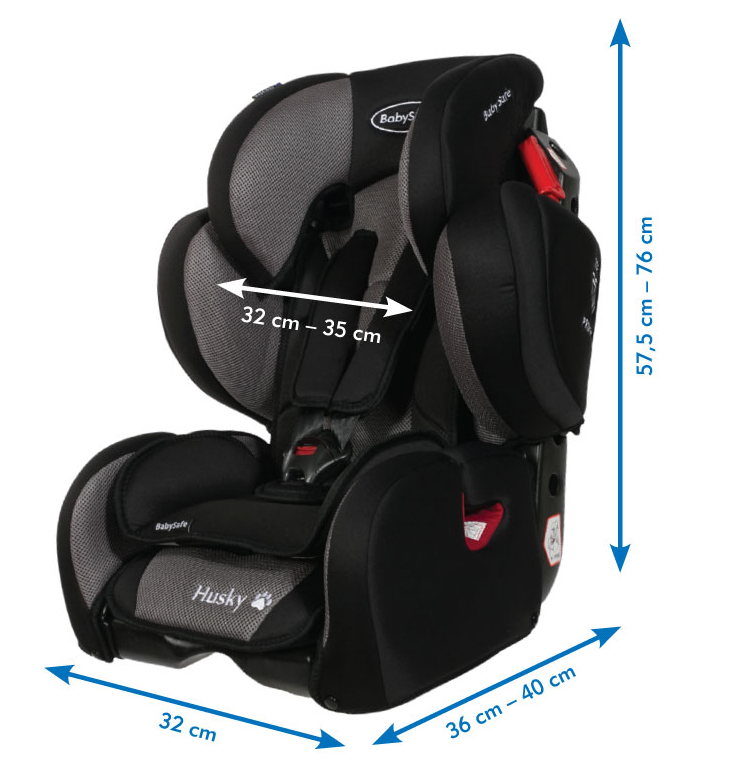 When installing the car seat, we must remember about the proper course of seat belt the appropriate way of doing buckle belt fastening is always available in the form of stickers on the seat. 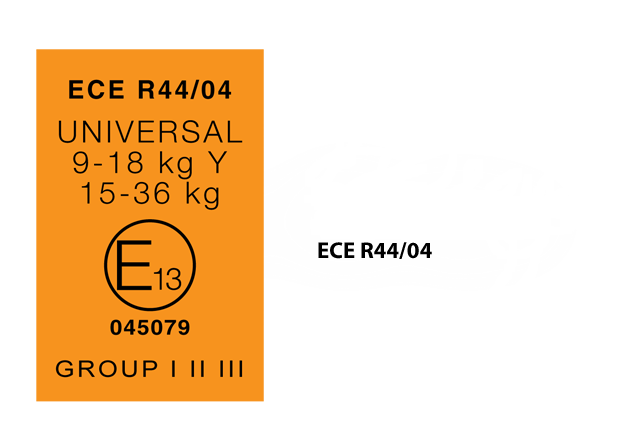 Vottaður: ECE R44/04 Þessi stóll er vottaður af öllum kröfum öryggisvottunar. Af öryggisástæðum er ekki hægt að skila bílstólum né base-um. Við bjóðum upp á að máta bílstólinn í bílinn.